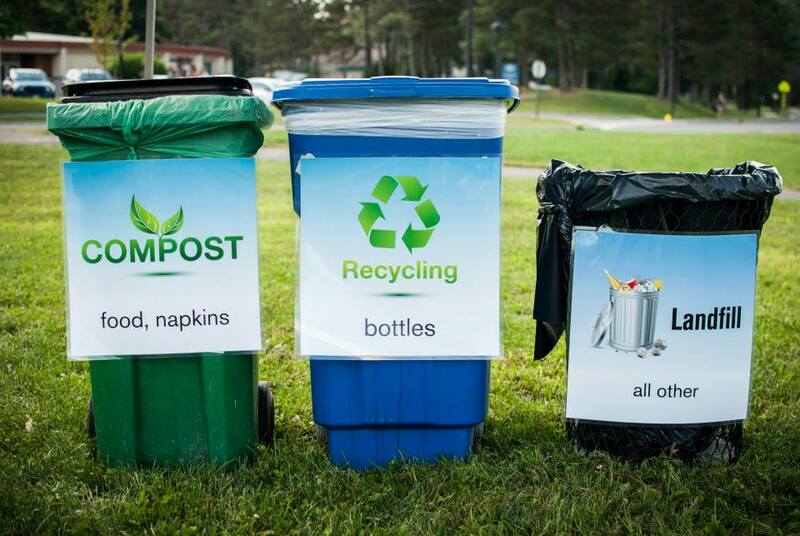 On July 8, 2009, SUNY New Paltz and Campus Auxiliary Services/Sodexo began a partnership with two local organizations to design and implement a disposal and removal system for compostable food waste on campus. Less than eight years later, the College has recorded its two millionth pound of material diverted from landfills into use as fertile soil in local agriculture. The College’s composting system was developed in collaboration with Greenway Environmental Services, an organization devoted to promoting fertile soils, clean water and zero waste, and Royal Carting Services, a waste disposal company with a mission to employ environmentally-responsible practices. The partnership model was important, because bringing a new composting system to campus is a complex endeavor, requiring not only new receptacles and removal contracts, but also an educational campaign to help students and staff understand the how’s and why’s of composting. Alumnus Vincent Nunziato ’88 (Business Administration), who directs Royal Carting Services’ food waste composting division, has played an instrumental role in bringing composting to his alma mater. He’s been involved every step of the way, from Royal’s initial site visit to evaluate sources of food waste, to the education programs designed to help community members see the value in the new infrastructure. Royal has handled the work of getting those two million pounds of material off campus. When that’s done, they pass the baton to Greenway Environmental Services. Founded and owned by Shabazz Jackson and Josephine Papagni, Greenway manages huge quantities of compost from the Hudson Valley region, preparing it for use as soil and helping distribute it to local farms. “Greenway’s Organic Management System is successful because all of the stakeholders, including Royal Carting and SUNY New Paltz, are committed to making it work,” Papagni said. Read more about Greenway’s method in this profile from Dirt Magazine, and keep updated on all things green at SUNY New Paltz with the Office of Campus Sustainability.